New research into the UK’s ability to keep the lights on this winter highlights a lack of recent investment in new generating capacity caused by uncertainty over UK energy policy, say experts. However introduction of the Energy Bill which received Royal Assent in December 2013, and enabled the Electricity Market Reform programme, is now giving investors more certainty. “The situation is changing now. 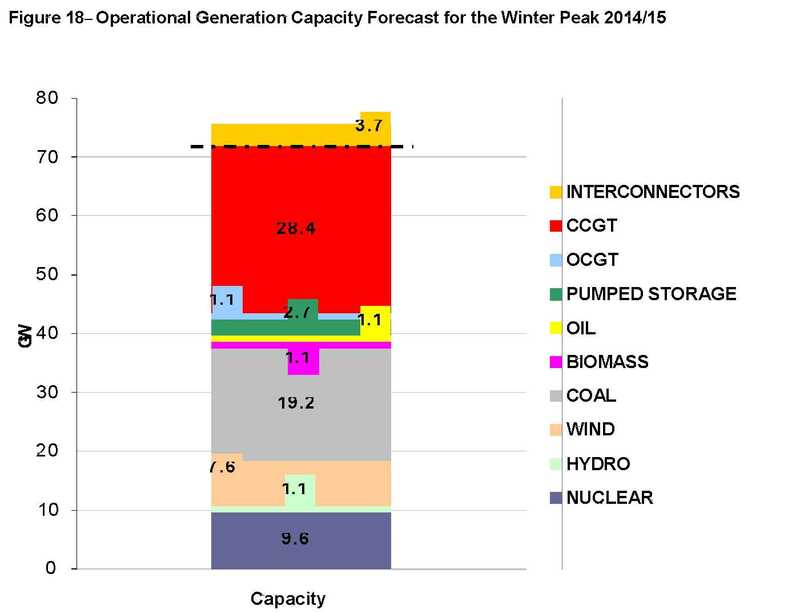 The outlook is positive but there is still a short term 2-3 years of reasonably low capacity,” says McMaster. National Grid agreed that the margins had fallen. “The electricity margin has decreased compared to recent years, but the outlook remains manageable and well within the reliability standard set by government,” says Cordi O’Hara, director of market operation, National Grid. In the report National Grid finds that the UK has a peak winter demand of 55GW in the case of an extremely cold period. This leaves a reserve margin of 2.3GW. To mitigate the narrow margin and raise the margin to 6.1% National Grid has implemented two programmes to bring in additional supplies of around 1.1GW. The supplemental balancing reserve (SBR) is targeted at bringing mothballed or closed power station back into service and National Grid is currently finalising contracts with Littlebrook, owned by RWE; Scottish Power’s Rye House; and Peterhead, owned by Scottish and Southern Energy. Just last week McMaster told Infrastructure Intelligence that prolonging the life of old power stations was not a long term option. “We do need new generation in the UK and this needs to be a mix of sources.” But on the positive side he said that investors were now coming forward particularly for small scale decentralised power from biomass and energy from waste. According to National Grid gas supplies are in a strong position for this winter with a surplus of 212million cubic metres per day. Gas fired power stations account for the majority of installed capacity in the UK followed by coal fired and then nuclear power (see chart). “We will continue to keep a close watching brief across both electricity and gas throughout the winter so that we’re strongly placed to respond to any unanticipated events,” says O’Hara.